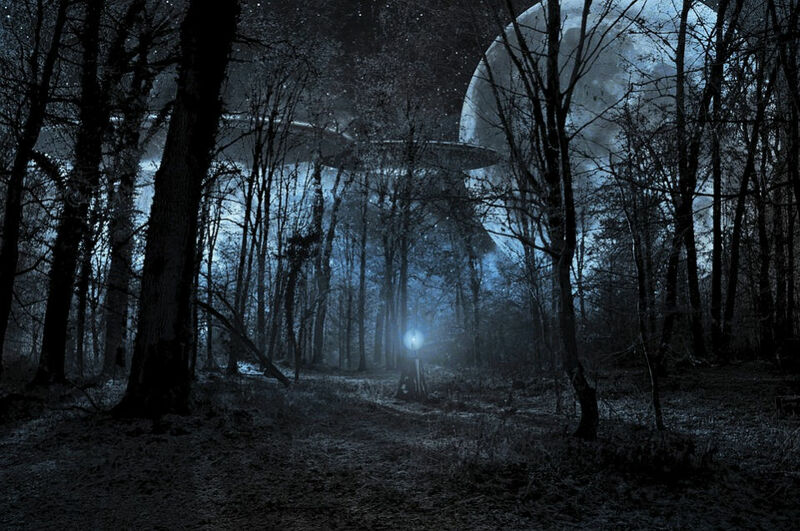 In 1955, aliens from the planet Clarion contacted a Chicago housewife to warn her that the end of the world was imminent. Psychologist Leon Festinger saw this as a unique opportunity to test a new theory about human cognition. 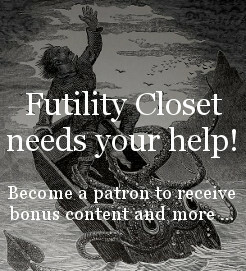 In this week’s episode of the Futility Closet podcast we’ll follow him inside a UFO religion as it approaches the apocalypse. We’ll also try to determine when exactly LBJ became president and puzzle over some wet streets. Hungarian sculptor and architect Ernő Rubik presented this puzzle in 1988; it was originally created by Christopher C. Wiggs and Christopher J. Taylor. 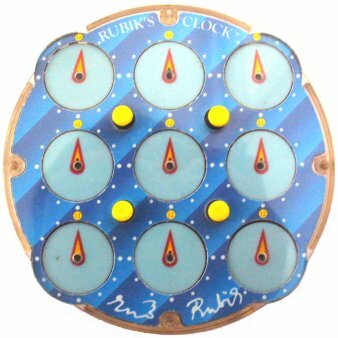 The puzzle has two sides, with nine clocks on each side, and the goal is to set all the clocks to 12 o’clock simultaneously. There are two ways to adjust the clocks. Turning a wheel at any of the four corners will adjust the clock at that corner on both sides of the puzzle. And turning a wheel will also adjust the three clocks adjacent to that corner on one side of the puzzle or the other; which side is determined by the four buttons surrounding the central clock. 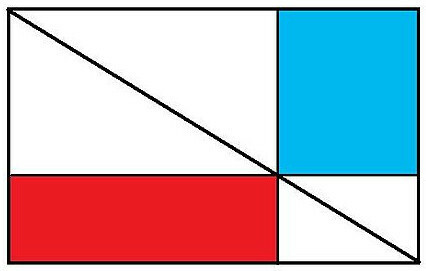 So, for example, pressing the northwest button “in” and then turning the northwest wheel will adjust the northwestern quartet of clocks and the corresponding corner clock on the other side of the puzzle. Pulling the northwest button “out” and turning the same wheel will adjust the northwestern clock on the front of the puzzle, its counterpart on the back, and the three clocks adjacent to it on that side. This is more intuitive than it sounds. 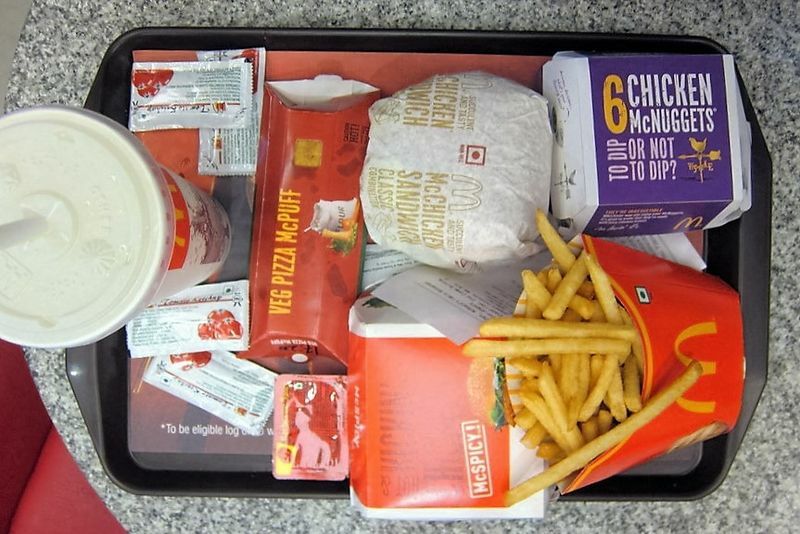 Here’s a simulator. Since there are 14 independent clocks, with 12 settings each, there are a total of 1214 = 1,283,918,464,548,864 possible configurations. It turns out that no configuration requires more than 12 moves to solve; for comparison, in the “worst case” solving a Rubik’s cube can take 20 moves. The trouble, of course, is knowing how to go about it. 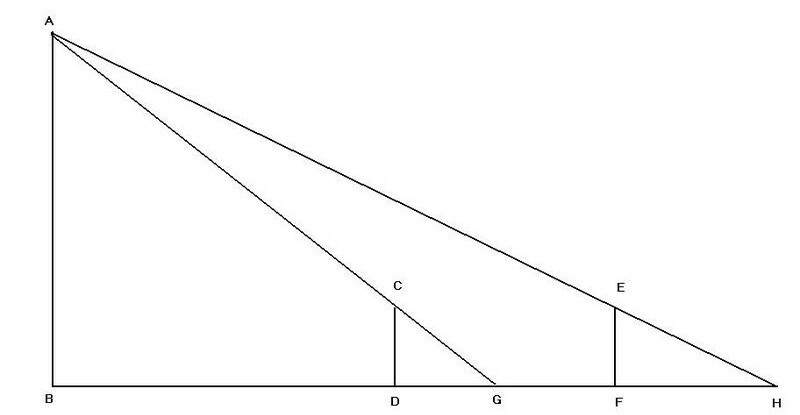 The Chinese mathematician Liu Hui offered this technique in a text composed about 500 years after Euclid. 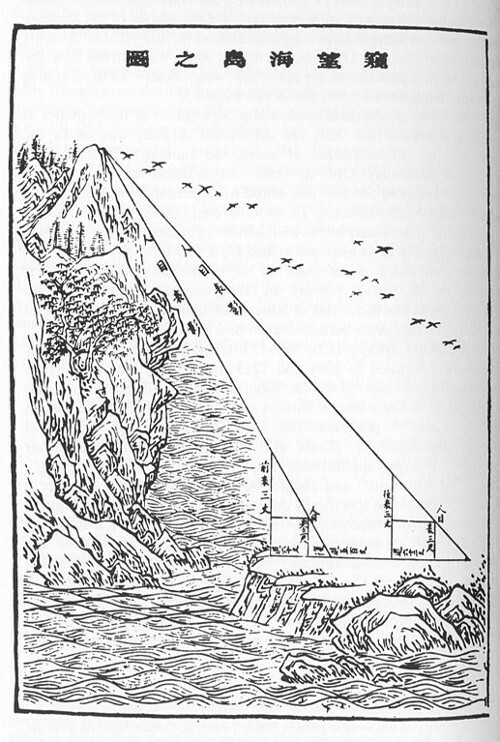 We’re on the mainland, and we want to find the height of a mountain on a distant island without crossing the sea. 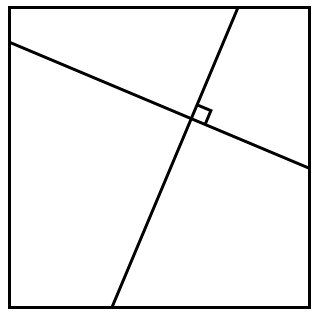 Any two lines drawn between opposite sides of a square and intersecting at right angles are equal. 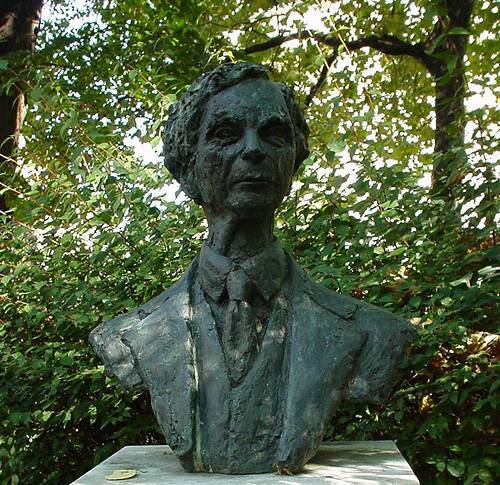 In 1940 Bertrand Russell was invited to teach logic at the City College of New York. A Mrs. Kay of Brooklyn opposed the appointment, citing Russell’s agnosticism and his alleged practice of sexual immorality. The quicksort computer sorting algorithm demonstrated with Hungarian folk dance, from Romania’s Sapientia University. The four queens puzzle solved using ballet. Binary search through flamenco dance. Merge sort via Transylvanian-Saxon folk dance. Selection sort using Gypsy folk dance. Richard Feynman was so struck by this fact that he remembered ever afterward where he had learned it — from his childhood friend Morrie Jacobs as the two stood in Morrie’s father’s leather shop in Far Rockaway, Queens.